Home Costs > How Much Does an Air Handler Replacement Cost? How Much Does an Air Handler Replacement Cost? 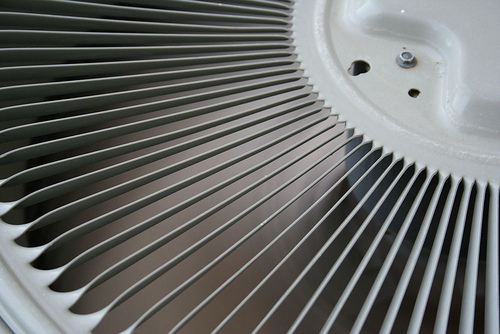 HVAC systems will use a blower motor in order to feed the warm and cool air into your rooms throughout the year. Because these motors work so often and run for many hours at a time, they will eventually wear down and, unfortunately, fail. How much does an air handler blower motor replacement cost? The costs of replacing an air handler blower motor will all depend on the type of motor, if it’s under warranty and the professional performing the job. If you are lucky and it’s only a blown fuse or something were caught in the fan, then it could cost less than $150 to fix; however, if the entire motor needed to be replaced, then you should be prepared to spend $300 to more than $900 if outside of the warranty. An OEM part, especially if it were a DC variable speed motor, can be very expensive before labor is even included. Even if it’s under warranty, it could still cost $175 to $400 for labor costs. To see what the blower motor can cost for various brand names, HeatCoolParts.com offers a list with the corresponding prices. From this list, we were able to find that most blower motors for popular brands could cost $159 to $500+ for the part only. If you’re able to find a part that’s able to replace your air conditioner model, then it’s safe to add another $100 to $250 to this total if you were to hire a professional to receive a ballpark estimate. The average job will take close to two hours when replacing. With so many air conditioner makes and models, consider using HomeAdvisor.com to receive multiple quotes from reputable and licensed HVAC contractors in your area. It’s free and only takes minutes. Always check on the warranty of this part as many air handler blower motors are under warranty for as long as five+ years. If unsure, refer to your owner’s manual or contact the air conditioning company directly for more information. Ask about a generic replacement instead of using an OEM as this can bring down the costs by almost 60 percent. However, understand that in some cases a generic alternative may not be available. If your current unit is older than 15 to 20 years old, ask yourself if this investment is really worth it. A qualified technician should be able to help you make an educated decision.